Jerry is throwing food and Tom wants to make order. Bounce the food to the save zone. Food is in the air and you have to bounce it to the safe zone. Top has a pillow that will do that, but you must direct him through this challenge. 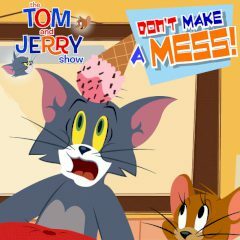 Games Similar Tom and Jerry Don't Make a Mess!